Prices include harvest, cut, and wrap.. Please contact Neil for wholesale purchasing. For all other orders please use the order form below. These products are raised at the ranch from birth until 2 yrs of age. When processed we add no preservatives, no gluten products or other meats. The prices below were updated on March 19, 2014. Some products may not be available and prices are subject to change without notice. For a list of locations where you can purchase Alberta Bison Ranch products, visit our Locations Page. Want Grass Fed Angus Beef? We have been raising angus beef since 1974. 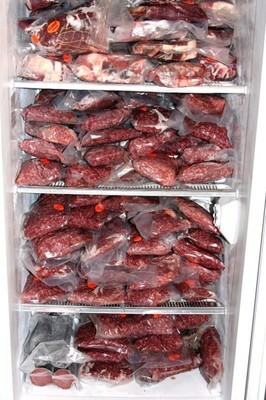 If you are interested in purchasing organically raised, grass fed beef contact Neil for more information.